Media brands that maintain a commitment to excellence in journalism are thriving in today’s media landscape. Stories with real substance, as opposed to traffic-seeking content disguised as journalism, are the key to success. We make serious news for serious people. For many readers, The Saturday Paper is now the only commercial media they consume. It is a crucial newspaper for brands that aim to influence consumer choice and gain exposure in the strongly performing premium segment of the media market. Intelligent people make time for quality. They demand deeper engagement with the world of politics, society and culture. The Monthly features the nation’s finest writers and analysis. A who’s who of business, politics and the arts, including prime ministers and senior journalists, consider The Monthly essential reading. 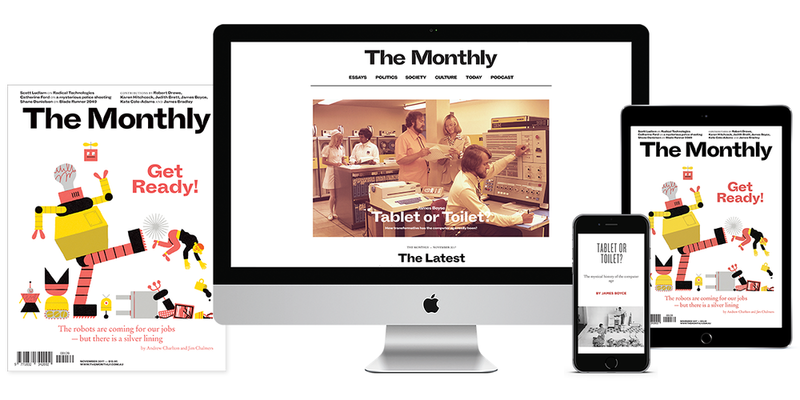 Readers of The Monthly are in the top tier in education, income and occupation. They enjoy a high status and have significant purchasing power. Established in 2001, Quarterly Essay aims to present the widest range of political, intellectual and cultural opinion and foster debate. It offers a forum for original long-form investigations, profiles and arguments. Quarterly Essay readers and subscribers are interested in politics, news and current affairs and include academics, members of parliament, public servants, diplomats, writers, journalists and people working in politics and foreign policy. Australian Foreign Affairs readers and subscribers are interested in significant foreign developments affecting Australia and the region. They include academics, members of parliament, public servants, diplomats, writers, journalists and people working in politics and foreign policy. 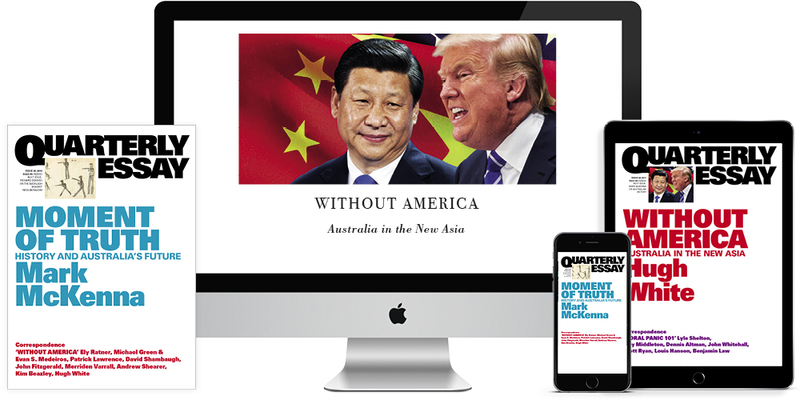 Australian Foreign Affairs makes foreign affairs available and accessible to a large audience, in the way that Quarterly Essays make serious politics popular.